p2pb2b users will always have a great variety of coins to trade. Today we are glad to introduce you GOLDFund coin that has just joined our platform. GOLDFund is a blockchain-based company that uses its own coin as a means of payment for a discounted gold. 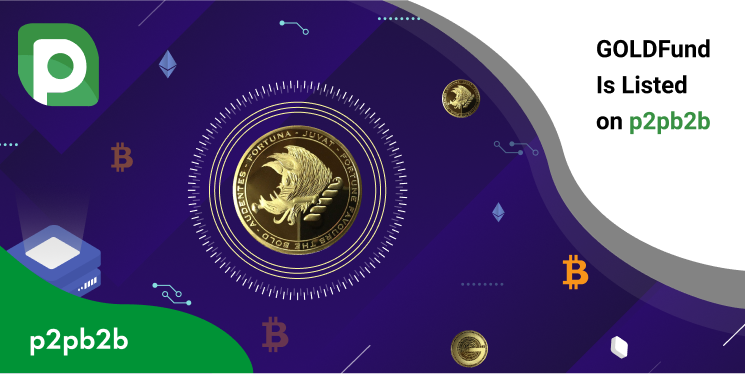 The enterprise has its own exchange where GFUN holders can use their coin to buy Gold from producers with up to 30% discount. The platform also has a mobile version where users can track the latest news, trade coins and contact the support team. Subscribe to p2pb2b channels and stay tuned!